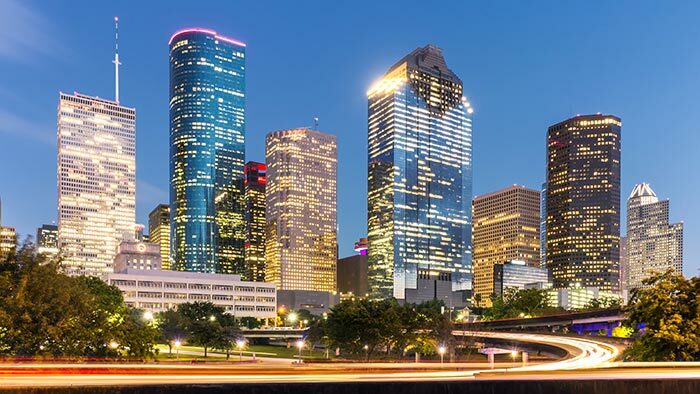 Nicknamed the “Space City,” Houston is known for its contributions to human spaceflight, but the town specializes in far more. Besides aerospace production, the city excels at everything from auto repairs to defense work to bioscience research. ExpeditedFreight.com offers local businesses access to supply lines all over the United States and Canada, along with the ability to ship out their finished products whenever they need to. Our commitment is to speed and safety, ensuring the best possible outcomes for all of our clients in the Houston area. 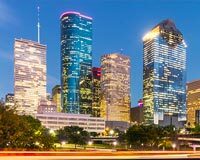 Houston anchors a metropolitan area with more than 6 million people and thousands of businesses. These businesses take many different forms, from auto supply and repair shops to aerospace factories to biological research outfits. But as different as they are from one another, all share a need for swift access to supplies. Many also need to deliver finished products, often sending them to customers in the most remote regions of the country. Any carrier that offers these services must be able to provide them as quickly as possible and without damaging the items they are carrying. Safety and speed are the cornerstones of ExpeditedFreight.com's shipping strategy. As an expedited freight company with a customer broad base, we know how to transport diverse items without damaging them, all by keeping to the tightest of production schedules. We provide these quality services all over the Houston metropolitan area, including in Houston proper, the Woodlands, Bryant, Conroe, Baytown, Pearland, Galveston, and Sugar Land. Central to our expedited freight strategy is our coverage network, which extends through major metropolises from Florida to Nova Scotia to Alaska to California. Thanks to this network, we can ship into Houston from any location. No matter where your goods originate, you can count on us to have a truck or van nearby, allowing us to load your items in as little as two hours and head directly for the destination. Our coverage network also lets us send out replacement trucks if the original one has a problem. This improves safety and minimizes delays, regardless of whether you’re shipping to or from the Houston area. Besides the coverage network, we further boost speed and safety by putting two drivers in every vehicle that has to cross a significant distance. We order these drivers to switch between working and resting. This way, each is rested enough to work safely during their shift, but there is no need to stop the truck overnight. ExpeditedFreight.com plans every route we take carefully, and we track your order while it is on the road so we can steer it around any obstacles. We can also tell you the location of your order whenever you need us to, and because we reserve a vehicle just for you, you won’t have to wait for others’ orders to be delivered first. In this way, we ensure convenience and efficiency for all customers. To learn more or get a free quote on express freight in Houston, contact ExpeditedFreight.com at (281) 408-4500.